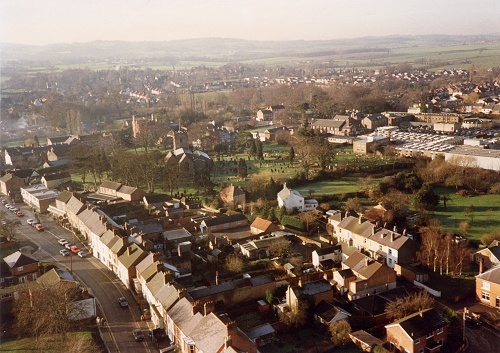 A good aerial view of the centre of the village. The shops on Station Road, the parish church and Rawlins can all be seen clearly. The Stafford Orchard is just visible lower-left. Taken c1994.